Touch me like a happy sigh. That responds, joyous and warm. By the Magic of the Pen. 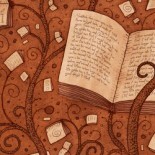 This magical prologue takes the readers back in time, to The House of a Hundred Stories. Somewhere near the Taj Mahal, this tumbledown, a large house with just one floor(not hundred storeys) and a rooftop terrace, is central to the hundreds of stories or tales, that are spun within it’s confines and in the large surrounding area. Along with the humans who inhabit the house, live some very interesting characters, a kind hearted dog, a frivolous chameleon, a philosophical toad…. Each character has it’s own tale, but when the snake charmer’s mongoose, Noel Nyola jumps across the wall, all the individual tales intertwine and all the characters get involved in a dynamic adventure, which is sure to keep one glued. Their temperaments and opinions raise some introspective questions, making this book an interesting read for young readers and adults alike, especially since many of us do get involved in petty politcs and forget the simplicity of life. The refined and straightforward narrative reminded me of Malgudi Days, where the characters were as important as the subtle message they were trying to convey. Mariam Karim-Ahlawat confirms that all the characters in this book existed exactly as she has described them, but what they said to each other has been guessed. A whimsical heart-warming tale, taking one back to the era where stories were simple and fun to read. 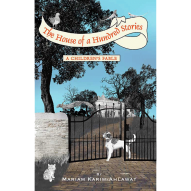 This entry was posted on November 4, 2016 by artikabakshi in Book Reviews, Indian, short stories, Young Adult and tagged Life Positive Books, Mariam Karim-Ahlawat, The House of a Hundred Stories.